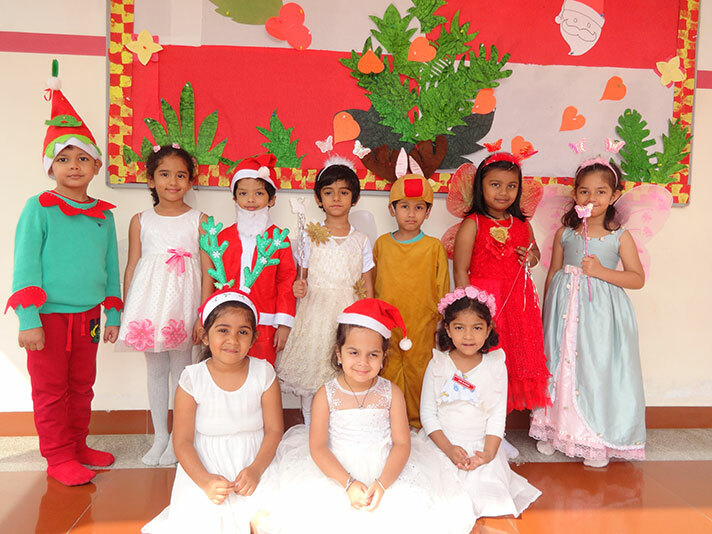 Christmas was celebrated in the Pre-Primary campus on 20th December 2017. The children were overjoyed and excited to see the huge Christmas tree and the manger decorated by the teachers. 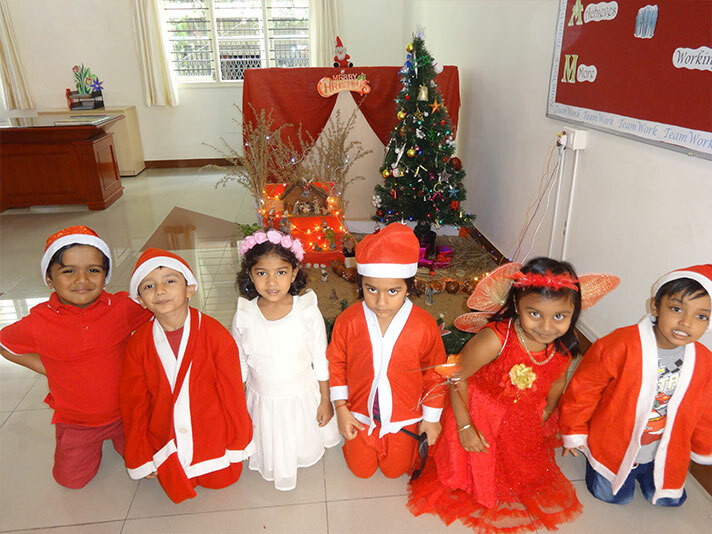 It was a colourful sight to see the children dressed as little Santa, angels and reindeers to go with the Christmas theme. 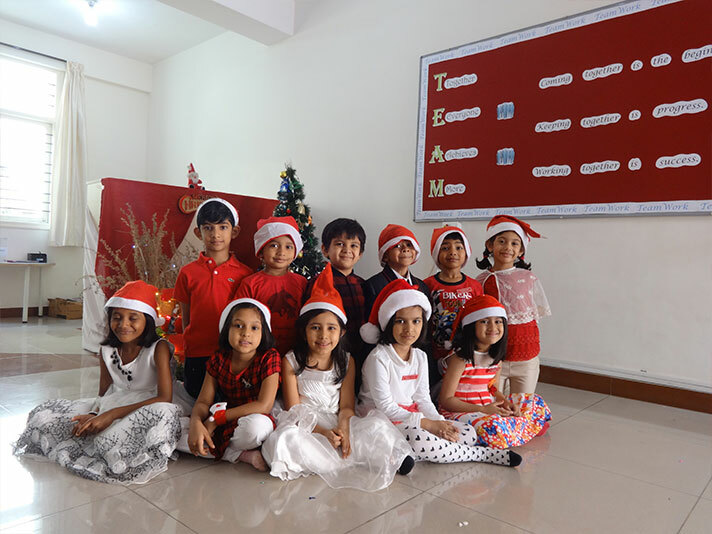 The children of Montessori celebrated Christmas all dressed up in colours of green, white and red. Santa Claus has been a great friend of children and this year was no different. He surprised children with his sack of gifts, while they sang Christams jingles for him. It was overwhelming for the children to see Santa walking in and they welcomed him with lovely Christmas carols and were thrilled to receive gifts from Santa. Children enjoyed having an extended Christmas celebrations with a class party to end the year. Merry Christmas to all of you and a Happy New Year... Ho! Ho! Ho!